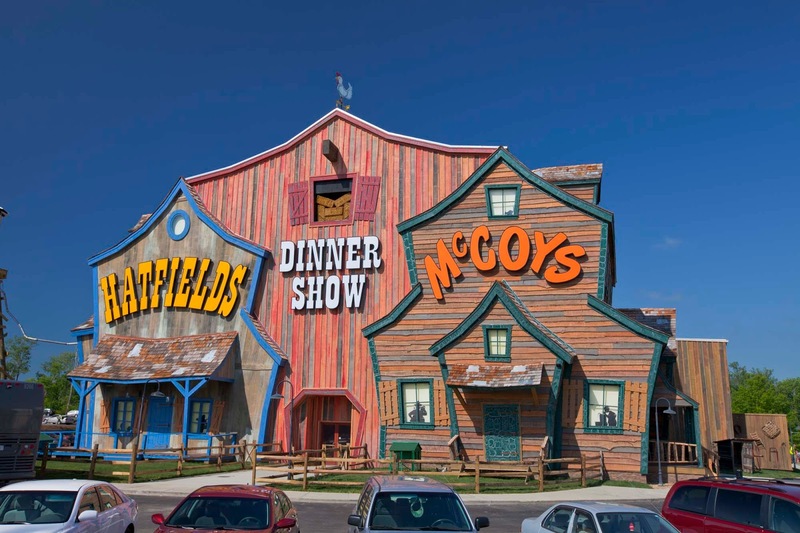 Smoky Mountains Lodging Guide: THERE'S FIGHTIN' AND FEUDIN' IN PIGEON FORGE AND IT'S ALL IN GOOD FUN! THERE'S FIGHTIN' AND FEUDIN' IN PIGEON FORGE AND IT'S ALL IN GOOD FUN! When you are spending a few vacation days in the Great Smoky Mountains be sure and include an evening at the Hatfield & McCoy Dinner Feud. If this sounds like a big heap of redneck fun and good, down home cookin', you are right. The Hatfields drove their jalopies into Pigeon Forge a few years ago looking for a place to settle down, play some music, do some dancing and take a taste from a ceramic jar now and again. They found their way to Music Road where they were promptly signed to entertain in the former Black Bear Jamboree Theater. Little did they know that their biggest rivals and sworn enemies, the McCoys, were also making the journey through Gatlinburg and down the Parkway. The McCoys, being hill people, were amazed and awed by the Titanic ship that had come to ground at the Parkway's edge, so they sat in the field next door and picked, sang and danced and generally enjoyed themselves. Now the same fellers who signed-up the Hatfields heard the McCoys and signed them up to entertain at the theater also. Now he didn't know about the feud but he found out rather quickly when the guns came out and everybody started shooting! After the gun smoke cleared and not one person had been injured, the quick-thinkin' feller declared, "You folks are going to be the area's newest theater attraction. I'll call it the "Feudin' Feast", no, the "Shootin' Supper", no, but he eventually got the name right, the "Hatfield & McCoy Dinner Feud!" Of course he replaced their guns with props and blanks and every day since that day of discovery, the Hatfields and McCoys have been play feudin' on the stage of the Hatfield & McCoy Dinner Feud Theater. 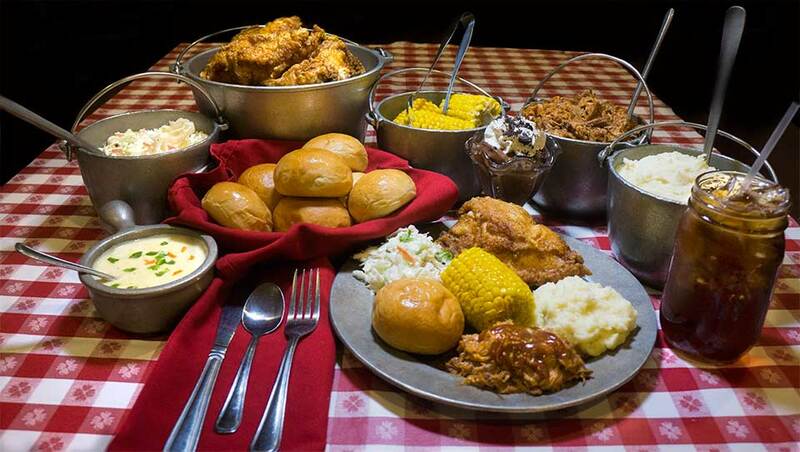 Of course Granny has to feed everyone that comes to the show and guests are treated to fried chicken and pork bar-b-que, a mess of fixins and Granny's specialty dessert. Folks are eatin' it up - the show I mean. So plan a night for some good old down home fun and food at the Hatfield & McCoy Dinner Feud Theater on the Parkway in Pigeon Forge, Tennessee.